This 25 acre or 9.68 Ha mango farm is located on one of the highest locations in Eudlo. Views can be obtained (before some of the mango trees grew) to Nambour West, Sunshine Coast Airport, the ocean and the Montville ranges. 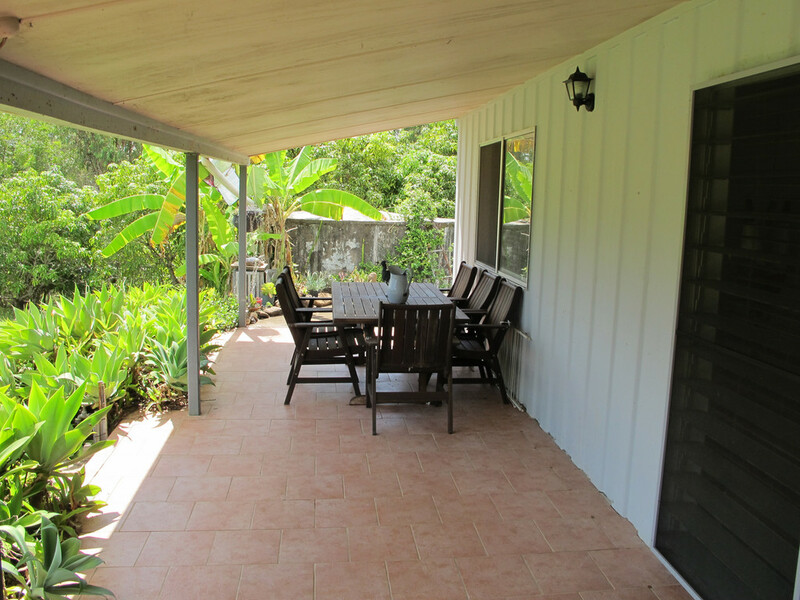 In fact, the height of this property is the same as the top of Buderim Mountain. The 25 acres is generally flat, usable land. The boundaries tree lined with native forest and no neighbouring houses. There are approximately 600 mango trees on the farm that are producing. The large work shed is set up for the packing of the mango’s before sending them off to market. Irrigation of the trees is obtained from the large dam near the house plus a smaller dam as backup. There is a large 4-bedroom home with carport which consists of a modern kitchen, spacious lounge and dinning area, one bathroom and toilet and spacious laundry. A full-length northern patio runs the full length of the house giving excellent views to the dam, the mango trees and beyond. The home has solar power, solar hot water, a woodfired heater, air-conditioning and ceiling fans. Water is obtained form a 5,000-gal (22,000 litres) tank at the house and another 8,000-gal (36,000 litre) tank near the shed. With the 600-meter driveway leading to the home, the property is ideal for those wanting a private, quite rural lifestyle with income.